High quality multi use membrane fixing plug for use with clear or mesh membranes. PermaSEAL membrane fixing plugs are designed for use with clear or mesh waterproofing membranes. They are simply fitted by drilling a 10mm hole through the membrane into the substrate the either applying PermaSEAL Rope or PermaSEAL Brick Plug Washers to the head of the plug before hammering home to a secure seal. 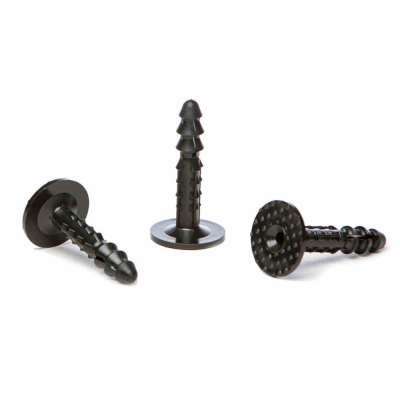 The membrane plug has a pre drilled hole in the head which is designed to accept a size 10 (5mm) screw for securing finishes to for example timber battens or metal track dry lining systems to. 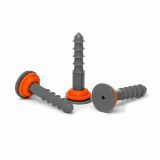 The membrane plug head also has a pre formed "key" so it can be used with renders or dot and dab plasterboard without de-bonding.